I apologise if this has been covered in a previous post but I think I've found the definitive fix for the problem of the speedo needle jumping up and down. It's been an intermittent but regular problem with my dash and a tap to the top right-hand side of the speedo usually brought it back to normal operation. Having bruised my knuckles a couple of times I decided to remove the thing and see if I could fix it once and for all and so far I appear to have done just that. My cruise control works properly now and the computer now gives a correct reading for mpg and average speed. Remove steering wheel, not strictly necessary but makes it much easier and recommended. Gently ease the instrument panel towards you to gain access to the wiring loom plugs on the rear. 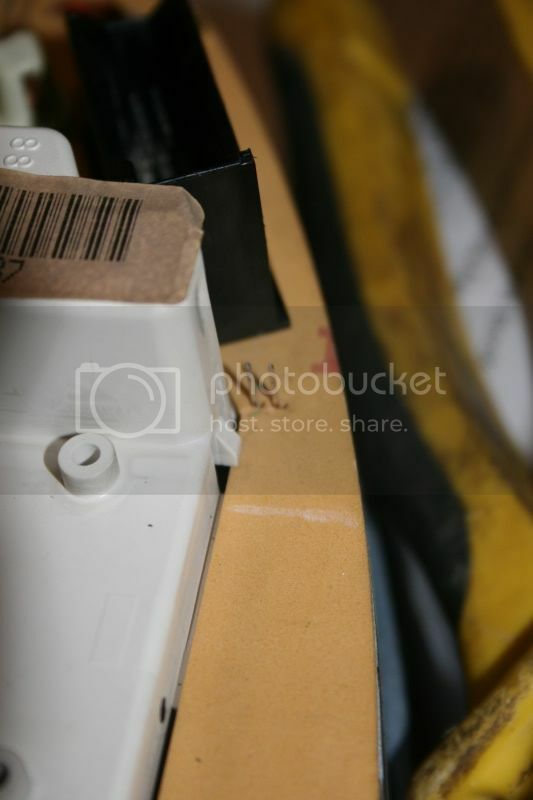 On the back of the plugs there is a locking clip which needs to be lifted (not removed) before unplugging. Fingernails are probably best for this. Once you have unlocked and removed the plugs, the instrument panel should now be free to remove from the dash. Check the other pcb for obvious dry solder joints (did all mine on previous attempts to fix, only fixed the fuel guage) then refit the whole thing (fitting is the reversal of removal) and try it. Mine has now been perfect for over a week when normally I'd be thumping the speedo five or six times in a short journey. Hey, many thanks for your description. My 1993 80 developed this problem recently. I removed the instrument cluster and cleaned up the two sets of long pins with a rubber and emery board as they had become tarnished in carbon build up over time. Put it all back together and 1800 miles later, still working perfectly! Hi TMT, I'm in Louth. I will have another 200 Avant one day, the torsen quattro system from the late 80's is still way better than any Scooby 4WD system and 5 cylinders sound better than boxers. I did all of the above several times with no joy. Replaced the clocks, PCB etc several times and still no joy. I then went to the sensor (right hand side of gearbox, when looking from front, just above the drive shaft, well on the 80/90 at least ) and took off the connection. I could not see any of the metal contacts for the excess of green crap that had built up. Give the contacts a good clean and I am now as good as new. The symptoms were roughly the same. Speedo would jump around all over the place, sometimes worked sometimes did not. Usually in the morning when cold it very rarely worked. You can also take the entire sensor out to clean, it just rotates around and slips out. I just tried this, now my speedo doesn't work at all. 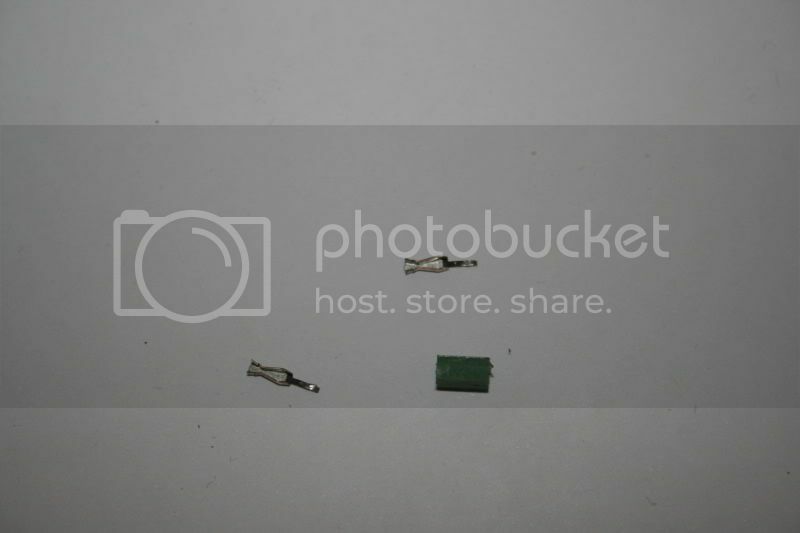 Are the green jumpers supposed to be connecting the two long pins? If so, why are they there at all, why don't they just have a permanent connection? Have I "broken" the jumpers, as I removed the "female" bits from the green plastic housings, to clean them too. The rest of the dash works, just the speedo is affected. Shall I just solder the two pins together? While this subject has come back to life again I may as well give an update on my situation. The clean up of the sensor only worked for a short while and in the end (after various jumping symptoms and only working when warm) I ended up with no speedo what so ever. Took the sensor out and replaced it and no problems since. Mine had the usual "whack it and it would work" symptom, as well as the lights going dim after 30 minutes. A whack would sort that out too. So I think it is at the dashboard end rather than the sensor end. I do have a spare dash, but the autocheck doesn't work on that one, and its from a Turbo 100, so has the boost gauge etc. The faulty sensor on the gearbox will throw a fault code. so it would be worth anyone doing this to pull the codes before deciding what route to take. Ahhh the wack it symptom!!! Its definitely the dashboard side. I wouldn't know how to pull the fault codes. It is a 1990 Audi 100 2.3 quattro (typ44) with the NF 2.3 KE Jetronic engine. strip the binnacle and clean the PCB carefully - They do get crudded up (moisture?) and tis what sorted my 80 out eventually. The green jumpers provide the connection from the speedo to the mainboard. They are not meant to be connecting the two speedo pins together. Think of the jumpers as a socket into which the speedo is plugged. Yes, I'm afraid you have. 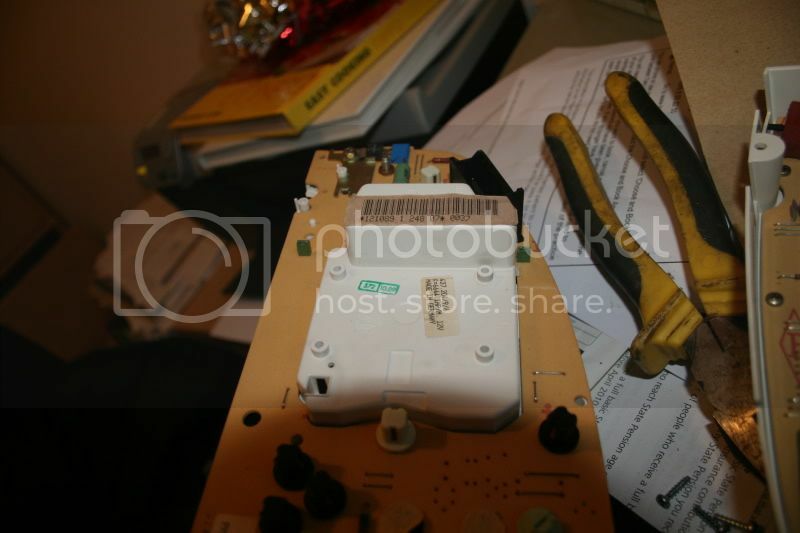 The metal connectors inside the jumper housing would have been soldered to the mainboard. ah you beauty. I will try that! And hopefully my photos will make it clear. Thanks for your help, I have been driving round for the past 2 weeks using the rev counter as a speedo....... (3400rpm in 5th is 70mph etc......). My speedo does this but it also affects the tickover ??? Hitting the dash top cures it for a while but will try the above. If you want more photos, I can put more up to help. Just don't do what I did! Great post - really useful. I must congratulate you on your excellent work on this. I have done exactly the same thing (twice - but I have had the car 12 years) and you are spot on withyour diagnosis. If I recall from memory, my speedo has 4 pins on it, am I wedged a bit of a paperclip (slighty sanded down) into the connections and it works perfectly. In sum, if there is anything that can be fixed by a large hit to the top of the dash, then this is the fault. Look no further. did this fix and it worked good!